Ojas Revital Gold Oil leaves your skin feeling moisturised, firmer and smoother. It Rejuvenates skin, prevents scars and wrinkles. The oil is a proven source of antioxidant nutrients. It’s a natural alternative to synthetic anti-ageing creams and treatments. Apply all over face and neck and rub in circular motion until oil is absorbed into the skin. 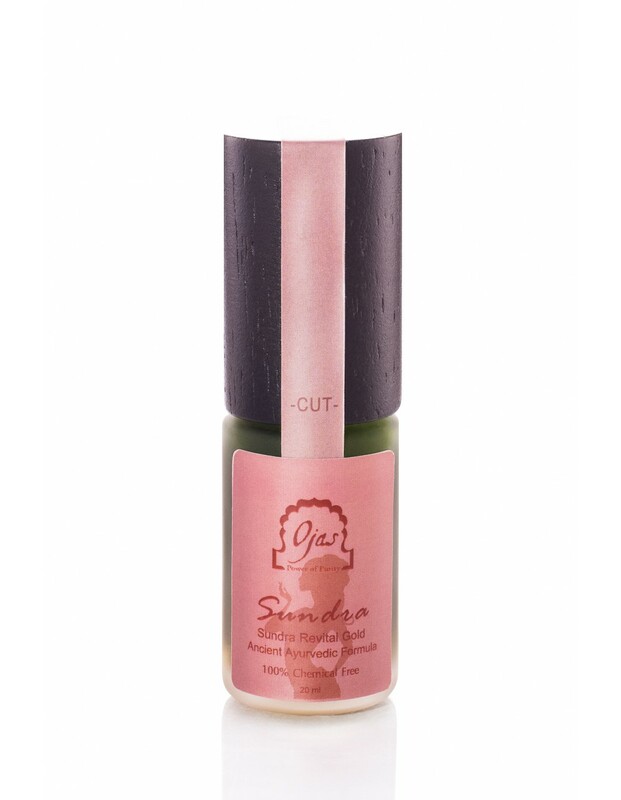 Use at bedtime, or as a moisturizer before applying Sundra Pearl Gold Cream. Coconut oil, Black Cumin oil, Centella Asiatica, 24 karat gold flakes, Sandal Wood oil, Jasmine oil, Rose oil and Tea Tree oil.